The mission of the Van Rijn lab is to uncover new strategies to treat psychiatric and neurological disorders. We specifically investigate the heavily co-morbid triad of ​drug use disorders, chronic pain disorders and mood disorders. Our primary target, the ​delta opioid receptor, is involved in the neuropharmacology of all three disorders and thus offers an exciting novel approach to treat these disorders. The Van Rijn lab covers all aspects of preclinical drug development including drug synthesis, drug screening, pharmacological characterization both in vitro and in vivo. We also perform mechanistic studies to improve our understanding of the etiology of these disorders. April 12th, 2019 - The Purdue board of trustees has approved tenure and promotion to associate professor to Dr. van Rijn, starting August 12th. April 8th, 2019 - Congratulations to Mee Jung Ko for receiving a Research grant from the Purdue Research Foundation to spent her last year as a graduate student investigating spatial and temporal aspects of biased ERK signaling. Way to go Mee Jung! April 5th, 2019 - Mee Jung has been accepted into the "ion channels in synaptic & neural circuit physiology" course of the Cold Spring Harbor Laboratories held June 4-24th, where she will receive hands on training in electrophysiology. Congratulations Mee Jung! April 4th, 2019 - Congratulations to Mee Jung Ko for receiving the 2019 PULSe Outstanding Graduate Student in Teaching Award (to be awarded on April 15th at the PULSe spring reception. Mee Jung was an excellent TA in MCMP544 and is an extremely capable undergraduate student mentor. April 2nd, 2019 - Mee Jung Ko received a travel award from the Society for Neuroscience to attend the 2019 International Brain Research Organization world congress of neuroscience in Daegu, South Korea. Congratulations Mee Jung! March 27th, 2019 - Congratulations to Anna Gutridge for successfully defending her original proposal and becoming a PhD candidate. March 1st, 2019 - Congratulations to Mee Jung Ko for winning 1st place in the neuroscience and neurodegenerative diseases category of the Purdue University Health and Disease poster session. February 27th, 2019 - Congratulations to Mee Jung Ko and Grace Mulia for the acceptance of their paper "Commonly used anesthesia/ euthanasia methods for brain collection differentially impact MAPK activity in male and female C57BL/6 mice​" in Frontiers in Cellular Neuroscience. February 27th, 2019 - Congratulations to Mee Jung Ko for receiving a travel award from the Purdue College of Pharmacy to attend the 2019 International Brain Research Organization conference in Daegu, South Korea on September 21-25. February 4th. 2019 - Congratulations to Meridith Robins for getting her manuscript entitled "repeated use of the psychoactive substance ethylphenidate impacts neurochemistry and reward learning in adolescent male and female mice" accepted in Frontiers in Neuroscience. Also congratulations to co-authors Arryn Blaine and undergraduate Ellen Ha, and thanks to our collaborator Dr. Amy Brewster. January 17th, 2019 - Congratulations to Anna Gutridge for receiving a travel award from ASPET to attend the 2019 meeting. January 11th, 2019 - Congratulations to Mee Jung Ko on her first author paper in collaboration with the Fai lab providing "Critical evaluation of TRPA1-mediated locomotive behavior in zebrafish as a screening tool for novel anti-nociceptive drug discovery.​" which has been accepted for publication in Scientific Reports. Arbaaz Mukadam is a co-author on this paper. This project was initiated by Mee Jung Ko and Logan Ganzen who received $2000 pilot funding from the Purdue Institute for Integrative Neuroscience. 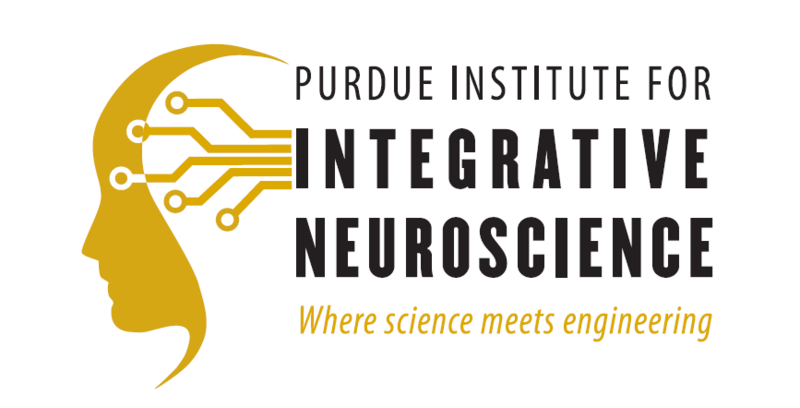 January 9th, 2019 - Anna Gutridge received a travel award from the Purdue Institute for Integrative Neuroscience to attend the 2019 ASPET meeting in Orlando to present her work on kratom in alcohol use disorder. January 3rd, 2019 - Purdue University made a press release highlighting our recent paper describing rubiscolin peptides as novel G-protein biased delta opioid receptor agonists, that have the potential to have in vivo efficacy in animal models of chronic pain, alcohol use disorder and mood disorders. January 2nd, 2019 - Dr. Marc Siegel mentioned the adenylyl cyclase 1 inhibitor, we helped characterize in vivo in a model for inflammatory pain as a medical innovation in an opinion piece on the Fox News website. If you appreciate the research carried out in the Van Rijn lab and support our goals feel free to donate to the advancement of science. Donations will be used to help support (undergraduate) students and carry out experiments exploring exciting new preliminary projects, currently not funded through other mechanisms. Science trumps politics. Register.Vote. Help others to register and vote. Apathy leads to stupidity. 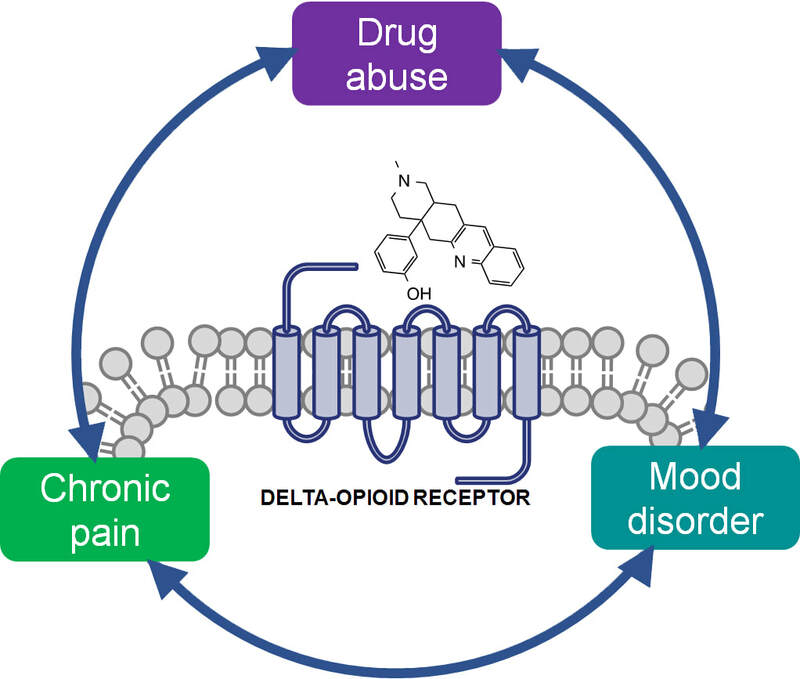 April 1st, 2019 - Our review of recently developed G protein-biased kappa opioid receptor agonists and their therapeutic potential has been accepted for publication in Frontiers in Pharmacology. February 27th, 2019 - Our paper describing how different methods for euthanasia influence basal MAPK activity in male and female mice has been accepted for publication in Frontiers in Cellular Neuroscience. February 4th, 2019 - Our paper describing how repeated use of the psychoactive substance ethylphenidate impacts neurochemistry and reward learning in adolescent male and female mice has been accepted for publication in Frontiers in Neuroscience. January 11th, 2019 - Our paper in collaboration with the Fai lab providing "Critical evaluation of TRPA1-mediated locomotive behavior in zebrafish as a screening tool for novel anti-nociceptive drug discovery.​" has been accepted for publication in Scientific Reports. November 8th, 2018 - Our review paper describing "arrestin recruitment and signaling by G protein-coupled receptor heteromers was accepted in a special issue of Neuropharmacology on "Brain heteroreceptor complexes in health and disease". The information, statements and opinions presented on the the Van Rijn lab website are solely expressed by Dr. van Rijn and do not necessarily represent views held by Purdue University.